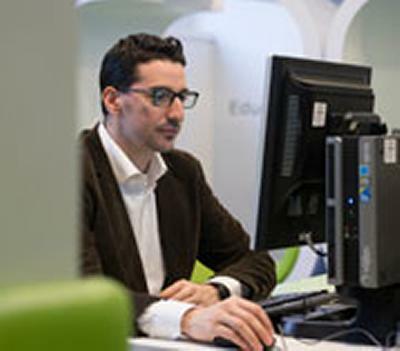 Combining the University of Southampton’s reputation as a leading UK institution with the British Council’s expertise in English language teaching and for promoting quality UK higher education on a global scale, the online Masters degree extends the partnership’s global reach in the English Language Teaching sector. The online MA will now be offered across the world to individuals, ministries of education and education institutions for their teachers. This builds on the highly successful launch of the course in Mexico in a five-year partnership between the two organisations, in which teachers in Mexican state universities have been able to study towards a UK postgraduate Diploma and Masters degree since 2008. Now teachers globally will benefit from the same innovative online approach to distance learning delivered by the British Council and University of Southampton partnership and the extensive Applied Linguistics expertise of Southampton’s academics. Vice-Chancellor of the University of Southampton Professor Don Nutbeam comments: “This partnership is a great example of how the University can deliver excellence in teaching to students around the world in an innovative way – giving them access to the considerable experience of our academics, who are experts in the field of English Language Teaching. Welcoming the course’s development, Anna Searle, Director of English Language at the British Council, said: “As an organisation, the British Council is committed to working with UK partners and institutions to deliver high quality in response to English language needs of the international community. This partnership is an excellent example of how we can successfully do just that. From February 2014, the first global cohort of students commenced the two and a half year online Masters course. The partners expect the Masters to contribute to the professionalisation of English Language Teaching globally, as well as give career and development opportunities to teachers the world over. The University of Southampton will be responsible for providing oversight of the online teaching materials and overall academic quality assurance and awarding the Masters degree. The British Council will be providing e-tutoring and assisting with the recruitment of students, and has been involved in course development. The course will receive its worldwide launch at the University of Southampton on Wednesday 12 March 2014.